Restoration Hardware is a luxury brand in the home furnishings market, offering everything from general indoor and outdoor furnishings and décor, to luxury baby and teen items. The company specializes in historical design collections, including authentic reproductions and updated classics, and also operates galleries and outlets throughout the country. Most of the items you’ll find at Restoration Hardware come at a high price, but they do offer numerous special financing offers through the RH Members Program and its store card, the RH Credit Card. The RH Credit Card is similar to a regular credit card by providing cardholders a revolving line of credit for new purchases with no minimum purchase amount. However, since it’s a store card, the RH Credit Card can only be used at Restoration Hardware stores, on their website and at Restoration Hardware Outlets. If you’re looking for a Restoration Hardware specific card, that shouldn’t be much of an issue. Keep in mind that like a general-purpose credit card, you will incur an APR, currently 26.99% variable, on unpaid balances that aren’t part of a special financing offer. Looking at the special financing offers, you’re able to take advantage of those provided by the RH Members Program or the RH Credit Card. Beware that the RH Members Program has a $100 annual fee, and you may not want to pay that amount just to use a financing offer. Though, the program does offer some noteworthy perks, like 25% savings on all full-priced items, 20% savings on all sale items, early access to clearance events and more that can add up to big discounts. That’s where the RH Credit Card may come in handy. However, don’t get too excited about the financing deals — you can do better with other credit cards. In this review, we’ll go over the financing offers available to RH program members and RH Credit Card cardholders and provide alternative options for your home furnishing purchases. As mentioned earlier, you can take advantage of special financing offers through the RH Members Program — no RH Credit Card needed. For all special financing offers, there’s a minimum $1,000 purchase required. The nice thing about RH financing deals is that there are no deferred interest terms. So, if you are unable to pay off your balance within the special financing period, you won’t be assessed retroactive interest charges. Most store cards typically charge deferred interest if the balance is not paid after the promotional period expires, which can be an unpleasant surprise, but thankfully, the RH Credit Card does not. However, know that any balances that linger will incur the current APR of 26.99% variable — which is quite high. As a result, we strongly encourage you to pay off any balance in full before the special financing period ends. Home furnishings aren’t cheap, and if you’re looking for a cost-effective way to finance your purchases, choosing the right credit card can help you spread out payments to fit within your budget. Below, we recommend various types of credit cards to consider before you hit the furniture stores. A cashback card allows you to earn rewards that are redeemable for statement credit — a great way to lower the cost of your bill. 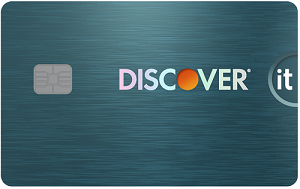 Our top pick for a cashback card is the Citi® Double Cash Card – 18 month BT offer which allows you to earn 2% cash back on purchases: 1% when you buy plus 1% as you pay. This is one of the highest rewards rates of any flat-rate card, and you can apply the cash back you earn against your balance. For large purchases that you need to finance over time, you could consider an intro 0% APR credit card. 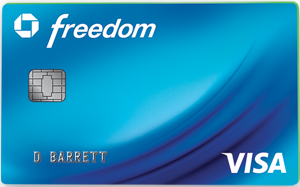 These cards offer interest-free periods anywhere from six to 21 months long. Compared with the RH Credit Card, these cards outmatch the 2.99% to 6.99% promotional APRs with an intro 0% APR and no minimum purchase requirements. That means you won’t have to spend at least $1,000 to qualify for a no- or low-interest APR. However, unlike the RH Credit Card, intro offers provided by the credit cards listed below begin when you open your card — they’re not available after the stated time period. For example, if you open a card that offers an intro 0% for 15 months, that 15-month period begins when your application is approved. The no-interest period does not restart after you make a purchase. However, there’s a chance you may receive promotional offers at later times. (3,919) Over the Past 60 Days! If you racked up debt on the RH Credit Card and are looking to save money on high-interest payments, a balance transfer can be a good way to avoid further debt. Another situation where a balance transfer may come in handy is if you take advantage of a credit card’s intro 0% APR on new purchases and realize that you’re unable to pay it off in full before the intro period ends. That means any unpaid balances will be hit with the regular purchase APR, but there is a way to avoid interest charges by completing a balance transfer before the intro period ends. A balance transfer is when you transfer debt from one card to another card, from a different issuer, that offers an intro 0% APR period on balance transfers. This saves you money on interest charges and gives you more time to pay off your debt. Just be aware that most balance transfer cards charge a balance transfer fee of around 3%, but the cost often outweighs the amount you save on interest. (1,249) Over the Past 60 Days! The RH Credit Card may seem appealing at first glance with its special financing offers, but a closer looks shows that you may be better off considering other types of cards. 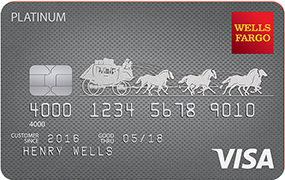 You won’t earn any rewards by using the RH Credit Card, and the no interest for 9 months only applies to U.S. Outlet in-store purchases. Plus, there’s the high 26.99% variable APR to consider if you’re not sure you can pay off the balance within the promotional period. One of the alternative cashback or intro 0% APR cards mentioned above would help save you more money and reap more benefits. 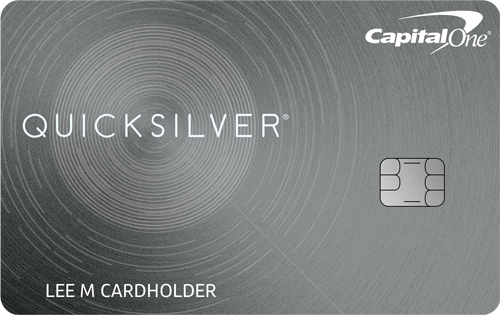 Plus, a general-purpose card provides the flexibility of being used anywhere — you won’t be limited to making purchases at Restoration Hardware.